A bold yet delicately fragrant bouquet. 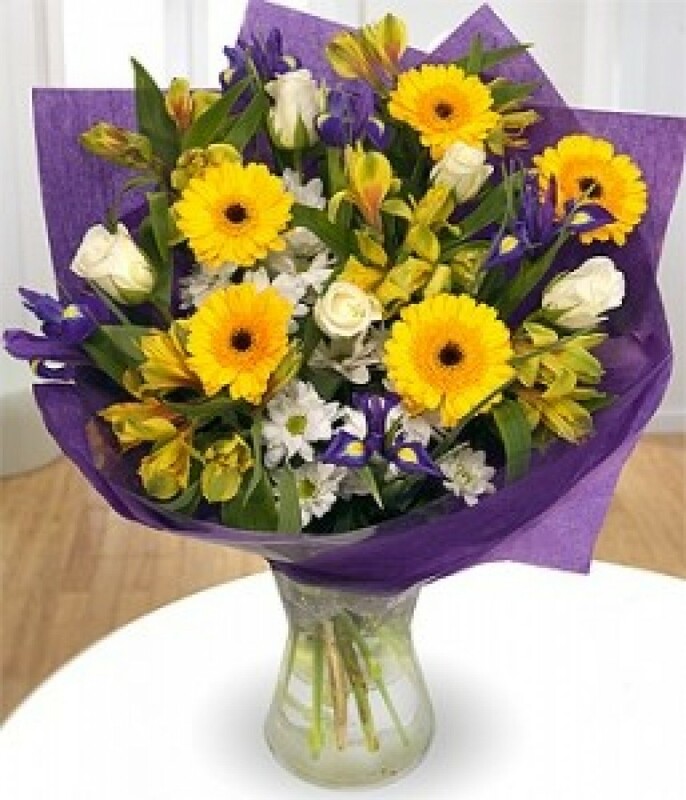 Yellow Alstroemeria and Germinu are married perfectly with bold blue Irises. A touch of white Chrysanthmums and Eucalyptus complete the arrangement.